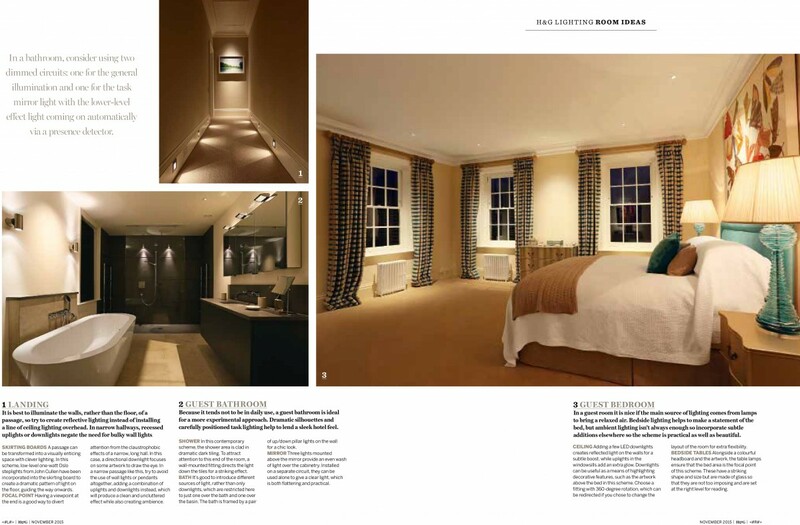 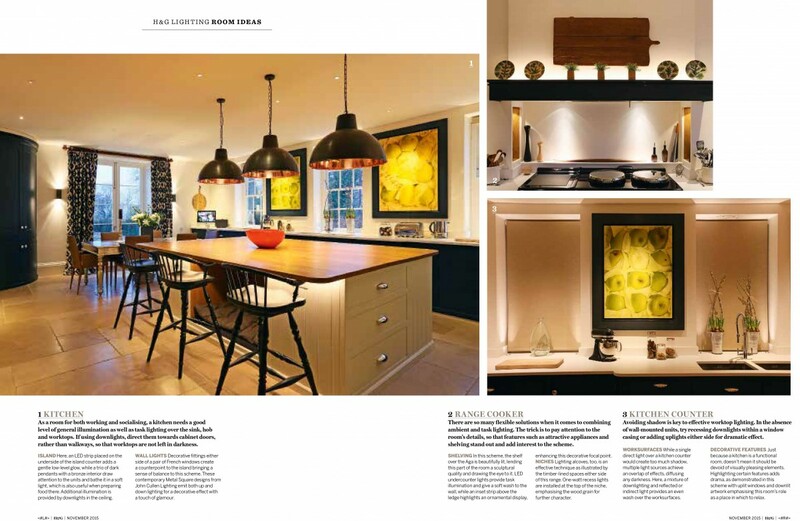 Take a look at this stunning 10 page lighting feature in the Lighting Supplement of November’s Homes and Gardens for this great case history which shows how to make light work across the home. 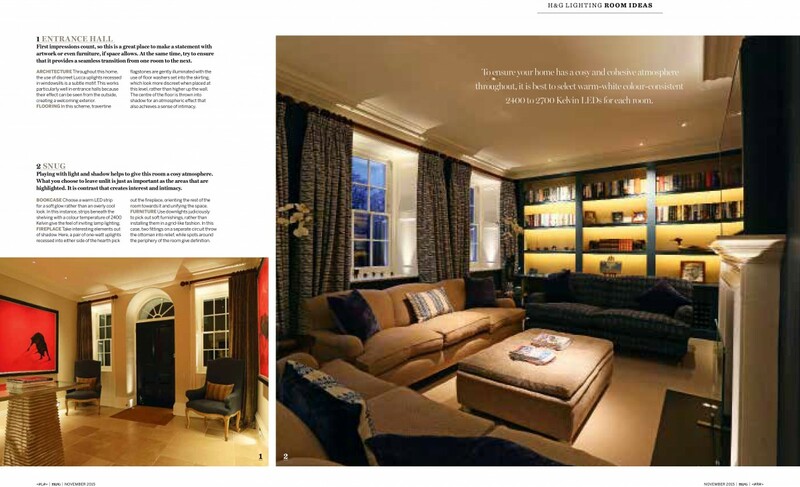 In this scheme for a country house designed by Sally Storey, Homes and Gardens explains in detail how this home was enhanced with light to create a spectacular, versatile family home. 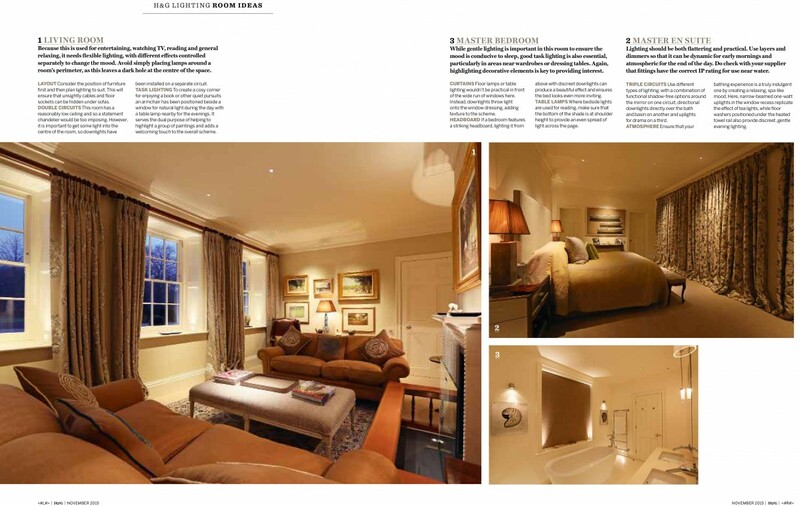 From the hall to the kitchen, the snug to the drawing room and the master bedroom to the guest bathroom, you can see in depth the tricks that were used to enhance the space. 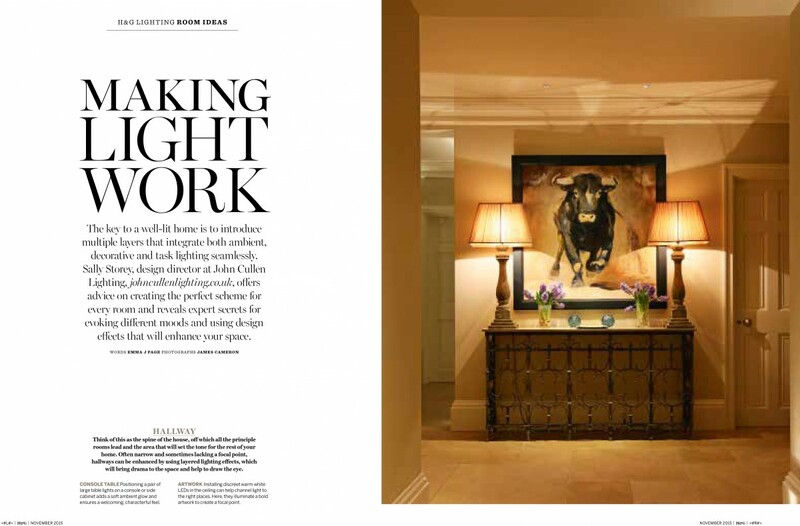 To see the rest of the article, scroll down or click here for a downloadable pdf.